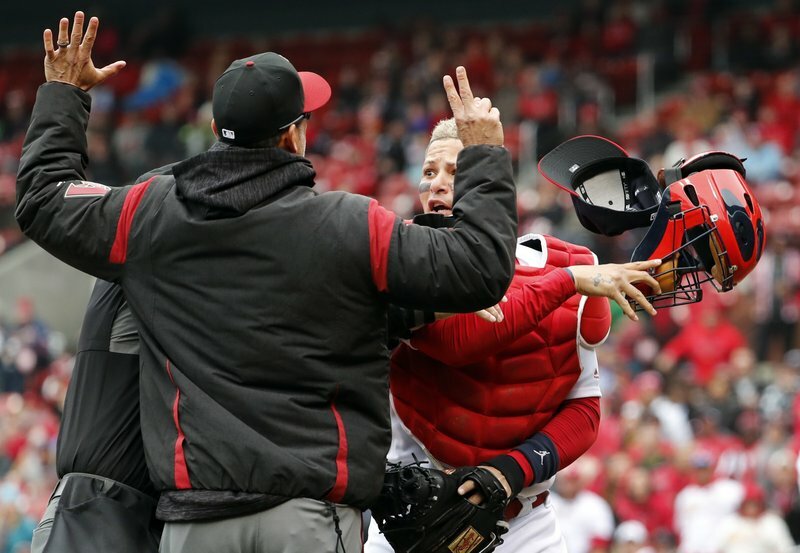 There was even a bench-clearing incident earlier this month when Arizona manager Torey Lovullo started arguing with the plate umpire about St. Louis catcher Yadier Molina’s framing. Lovullo said he praised Molina while using a profanity. The two had a shouting match. It’s rare for something as mundane as pitch framing to cause such a dust-up, but it’s clear that players, managers and umpires are becoming increasingly cognizant of the way catchers can try to influence calls on balls and strikes. Lovullo’s complaints aside, there doesn’t seem to be too much of a backlash yet over the way catchers try to get a few extra strikes. Washington catcher Matt Wieters says he thinks umpires have become less sensitive to the idea that catchers may be trying to deceive them. Wieters also says there’s a financial incentive for catchers to hone that part of the skill set. Within days of the Lovullo-Molina incident, the Red Sox and Yankees had a melee at Fenway Park after New York’s Tyler Austin was hit by a pitch from Joe Kelly and charged the mound. The benches had already cleared briefly earlier in that game Wednesday night after Austin’s spikes clipped Brock Holt’s leg on a slide into second base. Also on Wednesday, Colorado star Nolan Arenado charged the mound after a pitch from San Diego’s Luis Perdomo sailed behind him. There’s been plenty of testiness to go around — including the non-violent kind. Pirates manager Clint Hurdle criticized Javier Baez of the Cubs for a bat flip on a popup, and that dispute lingered for a couple days. The Pirates have been off to a good start, but Friday at Miami was not their finest hour. Starlin Castro of the Marlins lifted a sacrifice fly to right, bringing home a run, but after the throw to the plate, catcher Elias Diaz tried to throw a runner out at second and the ball sailed into a vacant spot in center field. By the time the play ended, all three runners had scored . At age 44, Bartolo Colon is still a wonder. The Texas right-hander took a perfect game into the eighth inning against Houston on Sunday night before allowing a walk and a hit. He struck out seven in 7 2/3 innings, and the Rangers won 3-1 in 10 . AP Sports Writers Bernie Wilson and Ben Nuckols contributed to this report.